Confluence represents perhaps my most personal design. The long flowing lines and undulations are a doodle that has “absent mindedly” issued forth from my pens and pencils for as long as I can remember. 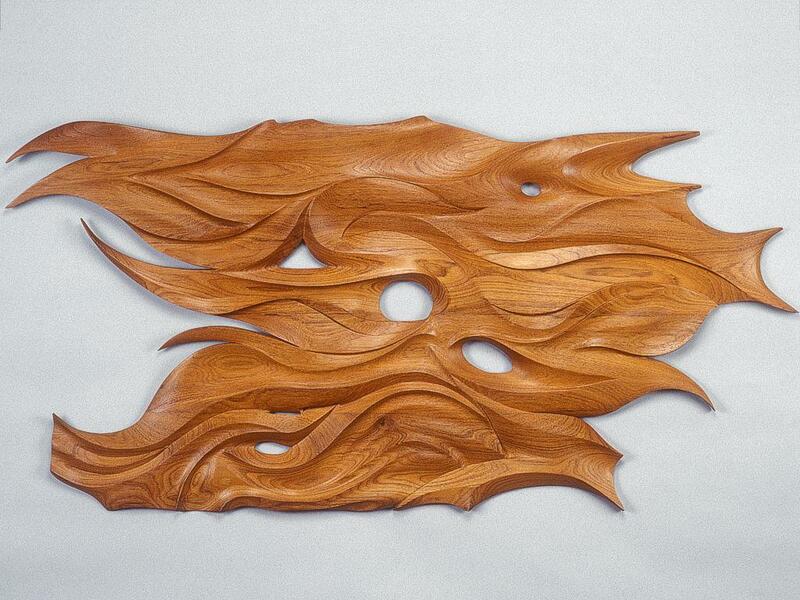 This wall sculpture was my first attempt at creating a three dimensional piece of art depicting my instinctive design pattern. In looking at other works I have done, you may notice this inclination to discover, exploit and create sweeping lines, forms, planes, intersections, etc. In The Creating Process, I discuss the evolution of and influences on my doodle – from sandbox and fighter jet turns to the c- and s-curves in my wood and glass art.